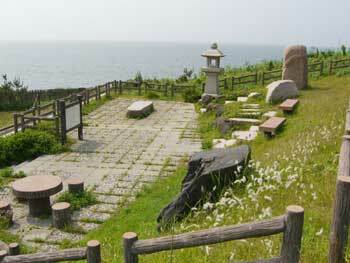 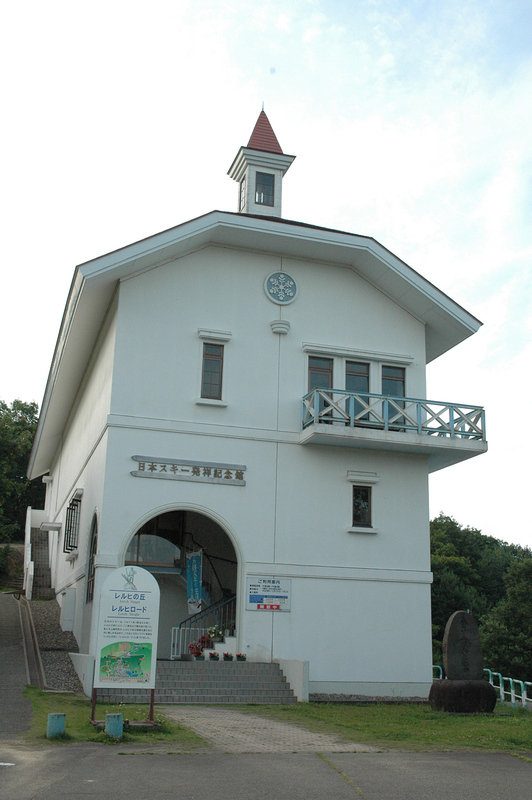 Ogawa Mimei (Kensaku), known as the "Japanese Hans Christian Andersen", was born in this very place in April 1882. 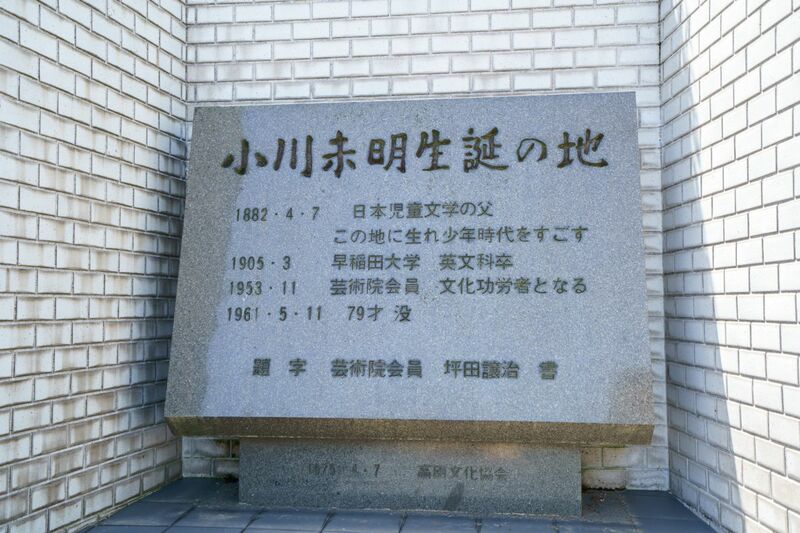 He is called the father of Japanese children's literature. 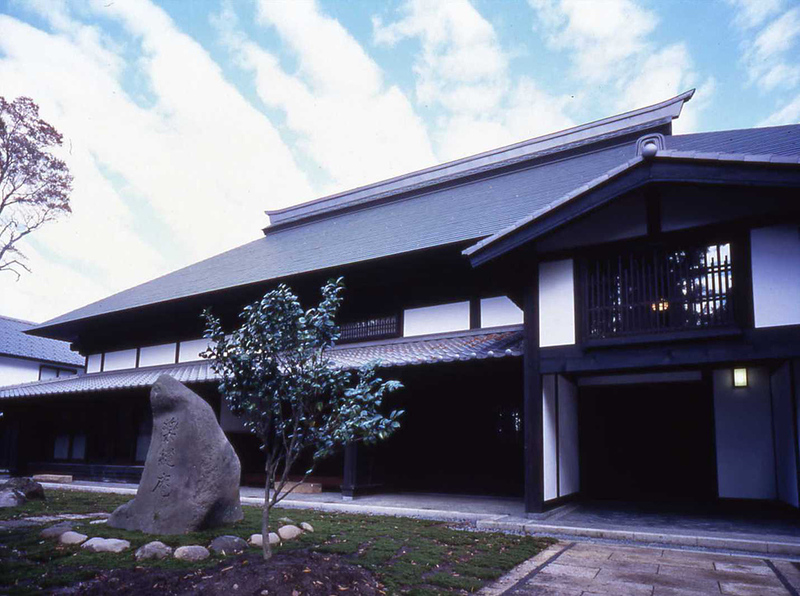 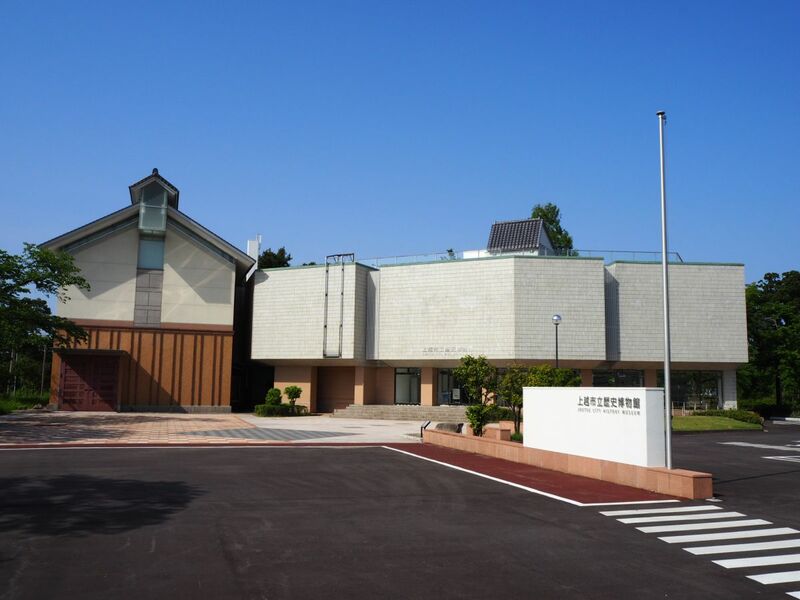 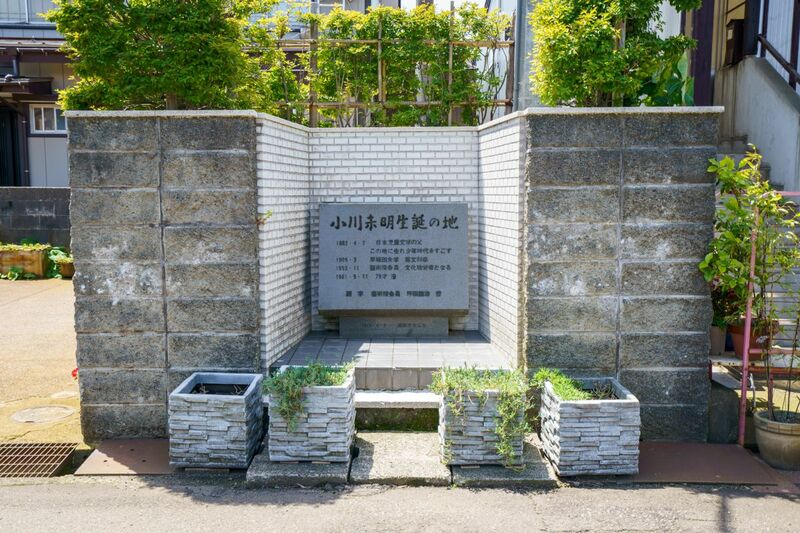 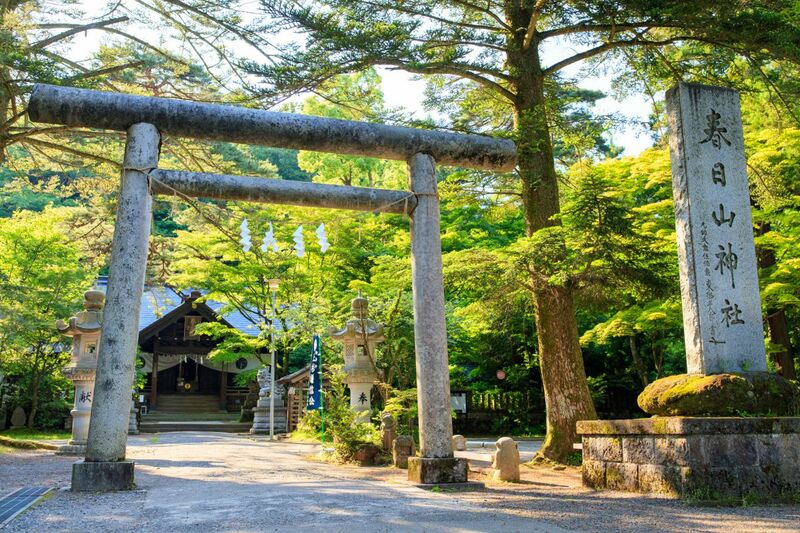 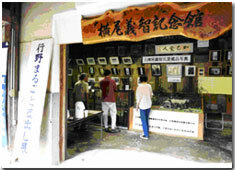 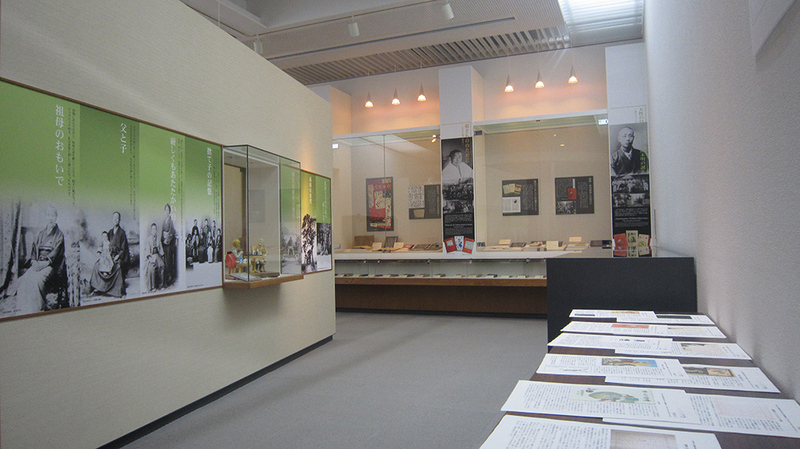 There is a monument with the inscription 'Ogawa Mimei birth place' written by Jyoji Tsubota in April 1975, which was built by the Takada culture administration. 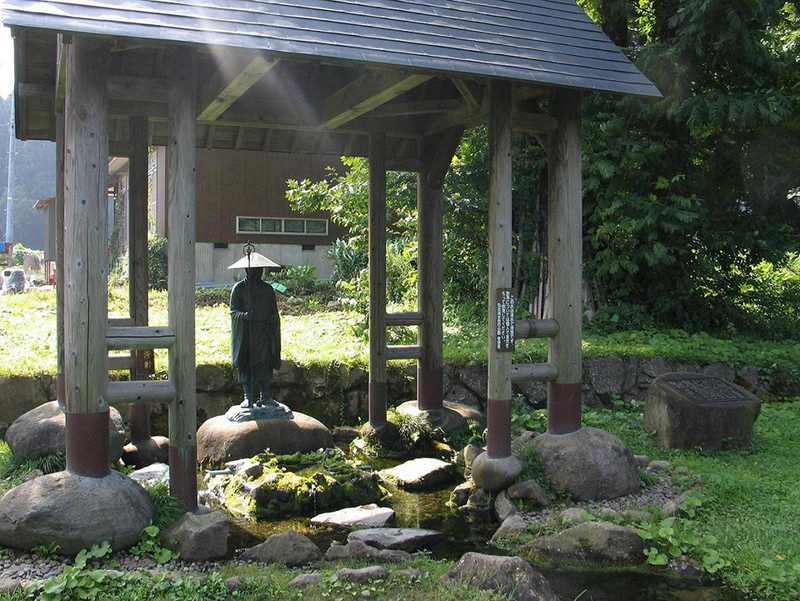 A 15-min walk from Takada Station on the Echigo Tokimeki Railway. 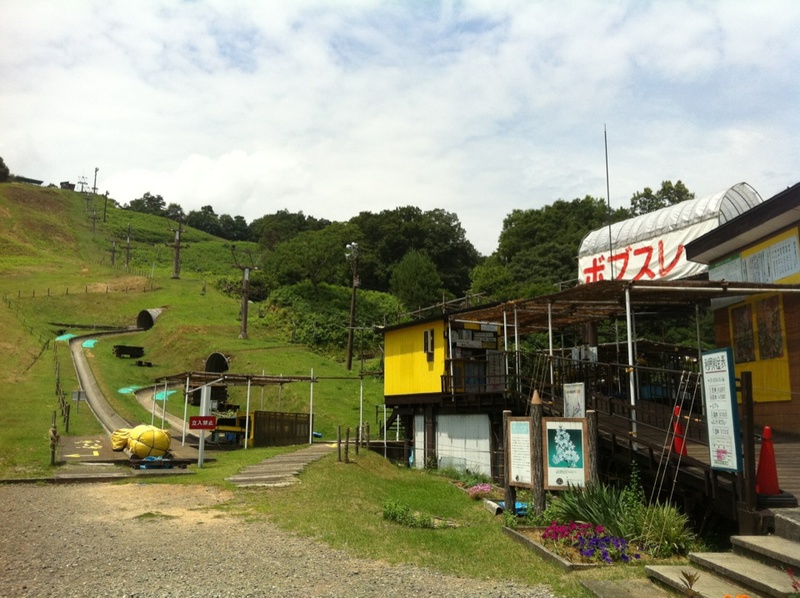 A 5-min walk from 'Saiwai cho' bus stop on the Kubiki bus line. 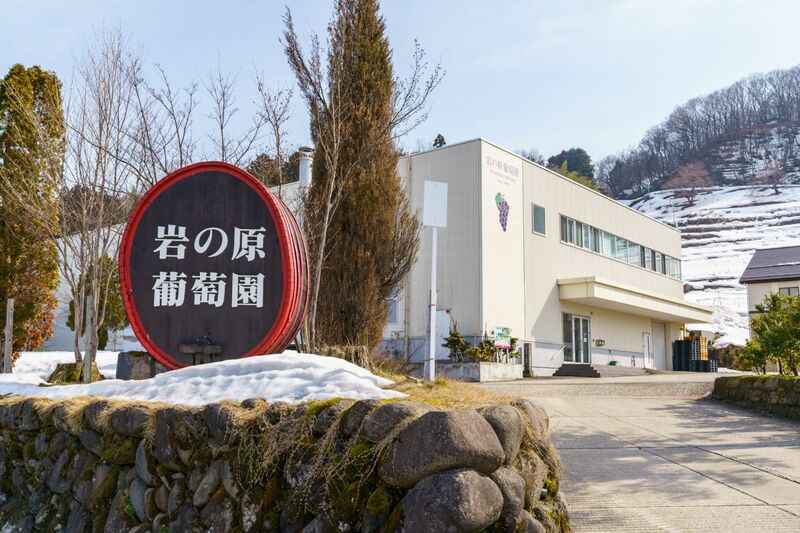 A 10-min drive from the Joetsu IC exit on the Hokuriku Expressway. 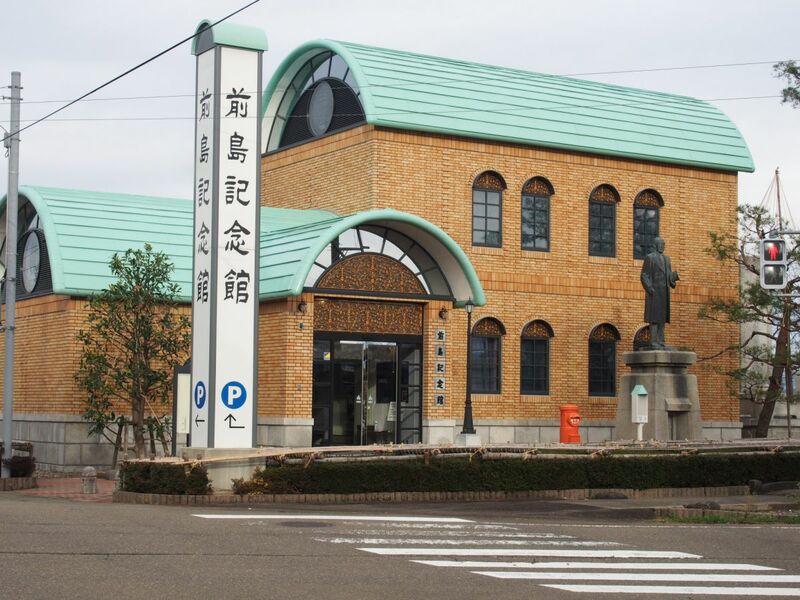 A 10-min drive from the Joetsu Takada IC exit on the Joshin-etsu Expressway.